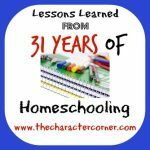 There was a time when homeschooling overwhelmed me, and I was exhausted and burned out. I was struggling to keep up with the needs of all the kids, as I tried to teach them. 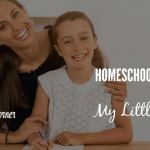 However, when I learned this little secret to easy homeschooling, all of that changed! I still had times when it was difficult and I was tired, but I was no longer constantly overwhelmed. 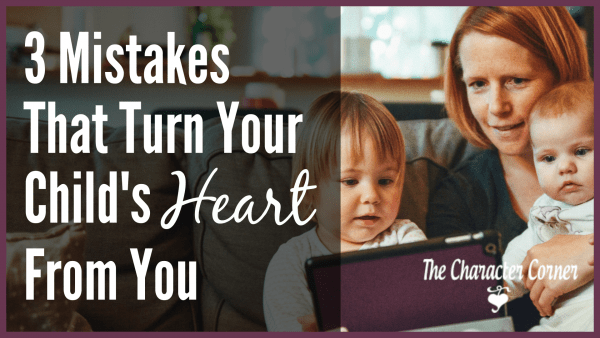 The secret I learned: teach your kids to be independent learners! It really is possible, and it really does work. Due to necessity with difficult pregnancies, my older kids started doing their school work on their own. By the time they were in about fourth grade, they were working on their own. I still checked in on them, and helped them occasionally as needed. Because we had worked hard to develop good character in them, they were trustworthy and responsible, and did very well on their own. They even ENJOYED it. They liked being in charge of their learning, and it gave them a sense of confidence that they could learn on their own, with the right tools. 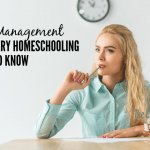 Often we think that our home school must mirror a public or private school, with Mom standing up teaching the kids all their subjects, then giving them assignments to do. 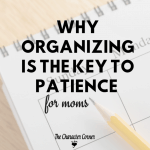 This requires Mom to make lesson plans for several kids, and many subjects. As a result, Mom ends up stressed and overwhelmed because she spends most of the day teaching, and then tries to do lesson planning, grading, AND all of her household duties in the evening. No wonder home school moms burnout and quit! Don’t make it harder on yourself than you have to! Perhaps you are wondering how this works? Of course when your kids are young, and just starting school, you will have to be involved. They can’t learn phonics and reading on their own. They will also need you to help them with basic math skills. Until they are able to read fairly well on their own, you will be teaching them and working with them. During that time, teach them CHARACTER! They need to learn to obey and do what they are told to do cheerfully. They need to learn to be responsible, and trustworthy. Once they have grown in character and developed self-discipline, you can start gradually having them do more of their work on their own. You will also need some type of chart for the kids to know what they are supposed to do daily, weekly, and for the school year. I made charts for the kids with the subjects listed, gave them their books, and let them make goals for how they were going to finish their work during the school year. 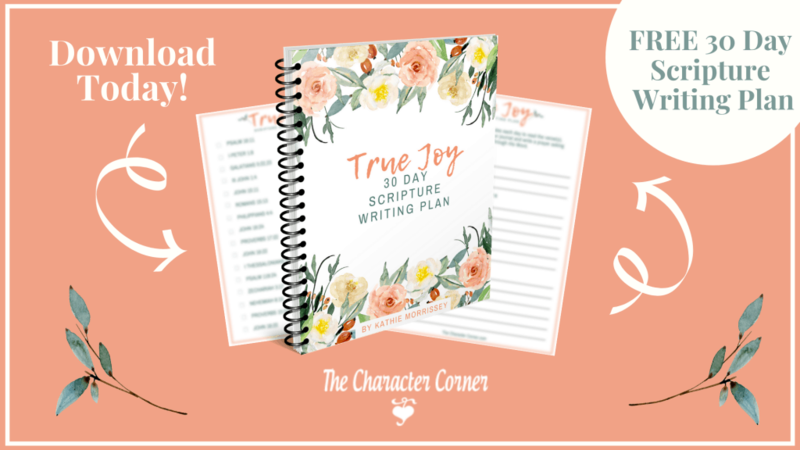 You can see the charts and lots of tips in my set Tips & Charts for Stress Free Planning & Scheduling. They loved being responsible for their learning, and being the one to set up their schedule for daily work. For this to work, you have to let the kids know what your expectations are. Don’t just give them the books and chart. Our kids knew they had to do a certain amount of school work each week. If they chose to do extra for four days so they could have the fifth day off, that was okay. We still chose to do some subjects together because we all enjoyed that, but having the older kids do the rest of their work independently left me with enough time to work with the younger learners, as well as spend time with the babies/preschoolers. 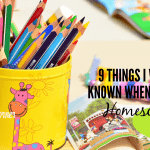 This little secret won’t necessarily make your homeschooling EASY, but it will definitely make it much EASIER! Wow have I been needing to work on this! Character development has been so tough and this post has shown me that it is the biggest benefit of all! 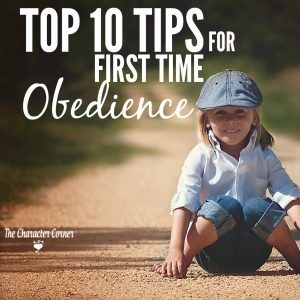 We are working on wisdom but I think I need to start with obedience 😬. I have 7 children and they are all very young so only my oldest, age 9, really has developed the self discipline to do things on her own, yet they still need much correcting I’m finding. My baby is 4 months old which lends to much time needed to hold, breastfeed and be with him. Looking to those who have gone before me sure is a blessing! Thank you! 9, 8, 7, 5, 4, 2 year old girls and only son 4 months! Christi, you are at a very busy season of your life! Focus on character first, then do only the required subjects — the 3 Rs. This isn’t the time to work on lots of extras! You don’t want to burn out. Also, consider having older kids help with little ones (non-schoolers) at a set time daily to give you a chance to work with the younger kids who still need your help, or give you time to check work, etc. Keep in mind the more correcting you do now when they are young, the easier it will be later. Thankfully sharing this one– so many of us struggle with the stress! I find that my introvert personality really gets burned out with homeschooling, due to the fact that I almost never get that time alone to recharge. Plus, it’s hard not to have a cluttered house or school area constantly. I hear you on that! Alone time is rare for homeschool moms to get alone time. I suggest having a daily quiet time where everyone is in their room resting, reading, playing with special toys, etc. It will give you a much needed chance to re-charge!